I recently came across this woman when The Irish Examiner newspaper wrote a feature on her extraordinary life. Her name immediately provides a clue as to the extraordinary nature of her circumstances, firstly, that she was perceived to be a man. The second, less obvious aspect of her name, at least to contemporary eyes, is that she was a doctor. These two clues provide the ingress to her story as, in order to be a doctor during her lifetime, she had to pose as a young man to access the education in the first place and then, to continue to pose as a man to be allowed to practice medicine as a doctor. Young women who take advances for womanhood for granted – take note! We owe a lot to our forebears. There seems to be some mystery surrounding her origins and date of birth which ranges from 1779 – 1799 – The Irish Examiner newspaper reported that she was born Margaret Ann Bulkey, on The South Mall, Cork, the daughter of greengrocer Jeremiah Bulkey. In her book Wild Irish Women, Marian Broderick makes no mention of her father but says her mother Mary Ann Bulkely, the daughter of well to do shipbuilders, showed up in London with her two daughters claiming to have been ejected from the family home in Cork by her husband and son. The brother with whom she sought refuge in London was none other than the talented artist James Barry RA (d.1806). 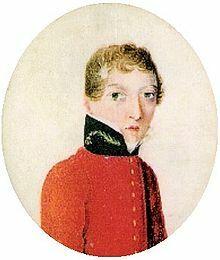 James Barry and his two main patrons, Venezuelan war hero General Francisco de Miranda (d.1812) and the Earl of Buchan, David Erskine Stuart (d.1829) were early adopters of feminism, admirers of women such as Mary Wollstonecraft. It didn’t take long for the three to spot Margaret’s brilliance and talent and to hatch a plan to save her from a life of either languishing in marriage or spinsterhood accompanied by poverty. That plan was to send her to college disguised as a boy so she may exercise her intellect and reach her potential. 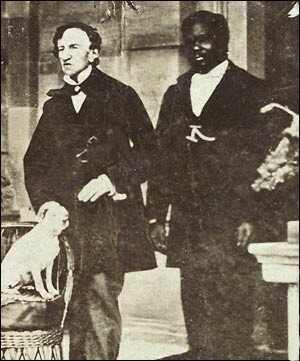 Thus, James Miranda Stuart Barry (named after her three benefactors) enrolled at Edinburgh University as a boy of ten (who may have been a girl of fourteen at the time) to begin her studies. 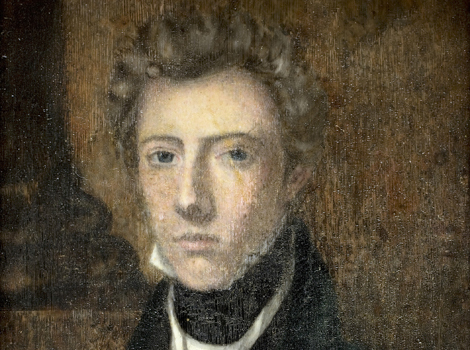 The shy and unobtrusive James Barry graduated as an MD with flying colours in 1812. The original plan, which had been for the newly appointed Dr. Barry to travel to Venezuela with General Francisco de Miranda, where, due to the more progressive laws, she would have been able to live and openly practice as a woman, was thwarted when the bold General was thrown into prison, leaving Margaret to live the remainder of her life ‘ imprisoned’ in her disguise as a male. She proceeded to gain experience working for a year at St. Thomas’s Hospital in London where she passed her surgeons exams, before enlisting in the British Army Medical Corps. 1816 saw her despatched to the British colony at Cape Town as army-staff surgeon following on from three years practice as assistant surgeon at Plymouth Hospital. It seems Margaret took to the freedom afforded her as a male with alacrity – allowing her temper, usually repressed in a woman, to take free reign, partaking in at least one duel, fought with pistols and from which both parties escaped unharmed. Dr. Barry proved a favourite with the ladies, his bedside manner proving particularly empathetic to the needs of women. In general ‘he’ was a good socializer, dancing well and speaking with great intelligence. There are rumours of love affairs beginning at this time. One such involves the governor of the Cape Colony, Sir Charles Somerset, with whom Dr. Barry spent a lot of time. Their relationship was intense, peppered with ferocious rows. It was also at this time that Barry took a black servant named John, who would stay with her for the next fifty years until her death. His first duty every morning was to lay out the bandages with which she would flatten her curves to maintain the deception of masculinity. When her maid, discovering her dead body on the morning she died, began to prepare the corpse for burial, she made the shocking discovery that not only was the eminent Dr. Barry a woman, but a woman whose body bore the stretch-marks of one who had been pregnant. Neither the child not its paternity was ever discovered. There had been some speculation at the time that this five foot tall doctor was a homosexual living with her black lover. Throughout her life and career Barry proved an exemplary surgeon rising to the top in whatever position she found herself only to be demoted due to her unpopular progressive ideas. She fought for better sanitation in the living conditions of women, the poor and for prisoners. Her notion that hospitals should be fastidiously hygienic was novel at the time. She also insisted on treating all patients equally be they black or white, rich or poor, lepers or lunatics. She maintained that the same level of care and hygiene be practiced in prison hospitals and that only respectable, reputable women be employed as nurses, overthrowing the normal model of hiring drunks and reprobates as tenders to the sick. She championed and forced through vaccinations for small pox twenty years before such innoculations became compulsory in England. In 1822 Barry was promoted to the position of Colonial Medical Inspector only to be demoted to Assistant Staff-Surgeon in 1825 after a clash with the Colonial Medical Board over the decision (which she contested) that a prisoner, one Aaron Smith was insane. She took on all the powers against him and her to insist he was in fact, sane – only to lose the case. The following year she was called to the bed of a woman who was dying in childbirth, where she made the brave decision to perform a Cesarean section, an operation she had only heard about and which had hitherto only been performed once. Her genuine ability ensured the success of the operation – the baby boy, named after Barry, whose godson bore the same name and would go on to become Prime Minister of South Africa: James Barry Munnik (JBM) Herzog (1866-1942). In the years immediately ensuing she was posted first to Mauritius then to Jamaica where she dedicated herself to the welfare of the soldiers garrisoned there. In 1836 she found herself on St. Helena where she was promoted to Chief Medical Officer. Her integrity and ‘balls’ ensured trouble here also – having taken on the mission of fighting for the welfare of the islands poor female population and indigenous citizens, she ran foul of authority once more by going over the head of her superior to protest to the War Office that he was blocking the supplies to the hospital. The tenet of obedience to rank being an unquestioned pillar of the British Establishment ensured her courtmartial for behaviour unbecoming to an officer and a gentleman, and saw her demoted once more – this time to Staff-Surgeon, and sent back to Britain for a period of extended leave. Recovering enough from yet another slap in the face, Barry took up a new post in 1838 to the West Indies, on the Windward and Leeward Isles. A posting that nearly killed her. Here, she contracted Yellow Fever and here too, she was discovered to be a female by the two young doctors who treated her. Perhaps respect for Dr. Barry’s reputation, or fear of reprisal, caused them to keep quiet on the matter. Over forty years later they would attest that they had in fact seen her naked and assuredly a woman at this time. Once recovered she was posted to Malta where her continued sincere and stalwart efforts to improve the lives of the population through improving public sanitation systems led to her squashing the typhus epidemic rampant on the island at the time. This drew the attention and admiration of the Duke of Wellington who commended her brilliance thus leading to promotion once more, this time to the exalted position of Inspector General of British Hospitals – the highest position in the medical world and highest rank a doctor could attain. She now had immense status both as a doctor and an officer of the British Army. (I wonder with what amusement those two young doctors watched such progress). 1852 saw her serving on Corfu, healing the wounded of the Crimean War. It was here she clashed with Florence Nightingale who thereafter referred to Barry as a ‘brute’. Florence Nightingale wasn’t the only person to have taken a dislike to Barry who it is reported could be tactless and didactic. In 1857, after forty years in tropical and Mediterranean climes, she was posted to Canada whose freezing climate undid her health if not her enthusiasm. In 1859 or 1864, depending on which account you read, she capitulated to poor health, retiring with a small pension to live quietly nursing her health in London with John, her faithful servant and her pet parrot Psyche and a succession of cats and dogs. Despite living a life of quiet isolation, the doctor who had devoted her life to hygiene nevertheless succumbed to the dysentery of the hot summer in the filthy London conditions of 1865. Thus ended the life of a person who was extraordinary by any measure. Not only had she overcome the ridiculous obstacle society had placed before her of forbidding women to shine as themselves, but, as a man, she undertook what so few have the courage to do: take on authority and risk her personal status and comfort for a cause greater than herself. When tested, she consistently maintained her priorities, using her skill and brilliance to rise to the top again and again. Society would deal her the final ignomy however, by withdrawing her state funeral upon the revelation of her gender upon her death. 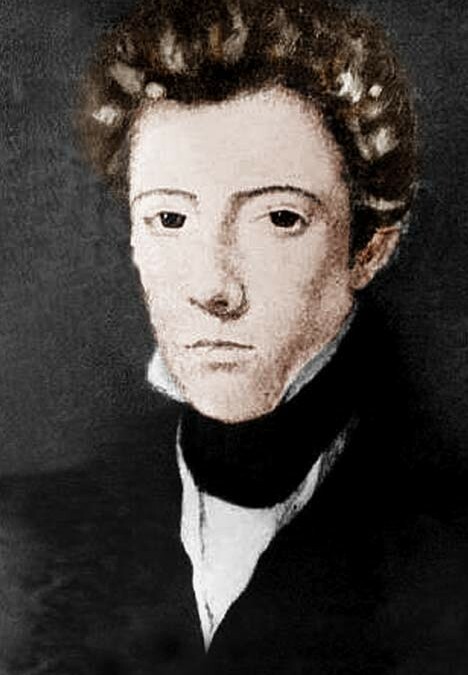 Despite the story of Dr. James Barry’s true gender circulating due to the shocked testimony of her maid Sophia Bishop, the press were gagged, and the truth quashed. The British Army sealed her records for 100 years. Rather than celebrate this woman, the imaginary honour of the Establishment needed to be upheld – it would never do for knowledge to leak into the general consciousness that those bastions of patriarchy and Empire had been fooled, or, even worse, for the high ranking army officer and Inspector General of British Hospitals, the great Dr. James Barry, to have been a mere woman called Margaret Bulkley from Cork, Ireland. John returned to the West Indies after accompanying Margaret/Dr. Barry around the globe for fifty years.